Visual display of the Sculptures of Liu Bei 劉備, Guan Yu 關羽 and Zhang Fei 張飛. Sculptures of Liu Bei 劉備, Guan Yu 關羽 and Zhang Fei 張飛. Sculptures of three historical figures from the Three Kingdoms Period (c.a. 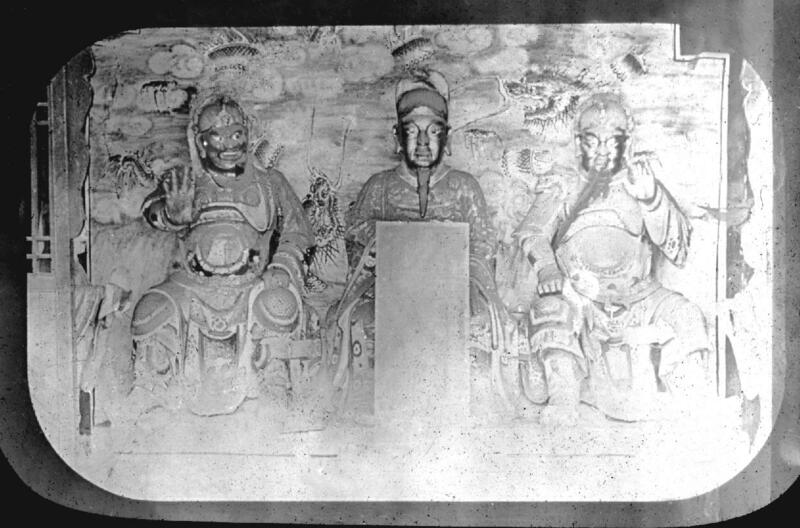 220-280) in a local temple: Zhang Fei 張飛, Liu Bei 劉備 and Guan Yu 關羽 (from left to right). Liu Bei, the emperor of the Kingdom of Shu 蜀, Guan Yu and Zhang Fei are his generals. There is an well known ancient story that recounts these three pledging a sworn brotherhood and battling together. They were regarded as gods. There are many temples established for them throughout China.